Kasey Kahne will retire from full-time NASCAR competition at the end of the year, having turned down an option to continue with Cup series outfit Leavine Family Racing in 2019. Kahne switched to Leavine after a disappointing spell at Hendrick Motorsports, winning just six races in his six-year spell with the multiple-championship-winning team. His last Cup victory came at Indianapolis in 2017, ending a 31-month winless streak, and Kahne claimed to be "glad" he was leaving Hendrick with a year left on his contract. Kahne has struggled at minnow outfit Leavine, which runs with support from Richard Childress Racing, during 2018. He switched crew chief ahead of Sonoma in June and took his only top-five finish of the season so far when he finished fourth at Daytona two races later. "I've thought about this decision for many months, if not longer," said Kahne on his Twitter account. "It's time for me to step away from racing in NASCAR full-time. "I appreciate everything LFR has done for me this season and offering me the opportunity to race in 2019. "However, racing in Cup full-time for a few more years was just something that I couldn't commit to." Kahne added he was content with his decision, even though his post-NASCAR future is undecided. "I'm not sure what the future holds for me, but I know I'm at ease with the decision that I have made," he wrote. "The highs didn't outweigh the lows and the gruelling schedule takes a toll on your quality of life. "I need to spend time doing the things I enjoy and love and that's spending time with [son] Tanner and my sprint car teams. "I've had a great career in racing and met so many amazing people and fans along the way, some that I'll remain in touch with for life. "We still have some work to do this year in the #95 car and I look forward to finishing the season with this team." Kahne's best season in NASCAR was 2012 when he made up for a slow start to his debut campaign with Hendrick to finish fourth in the series, boosted by a run of seven straight top 10 finishes. He broke through into the top tier back in 2004 with Evernham Motorsports after replacing Bill Elliott. 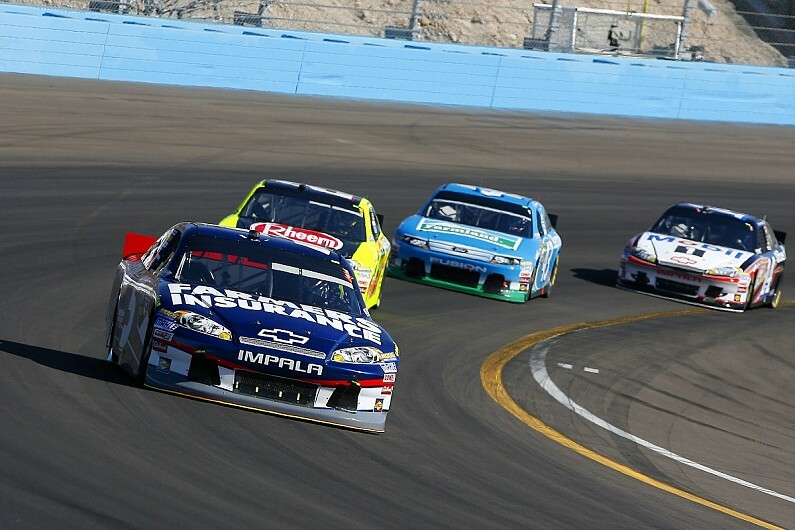 Kahne almost won a series of races in his maiden Cup year and became the rookie of the season. He remained with the team when it later merged with Richard Petty Motorsports and was released from his contract at the end of 2010, joining what was then Red Bull Racing for the following year ahead of his switch to Hendrick in '12. The 38-year-old has won a total of 18 races in his Cup career so far.